Joyland in Brandeton, Florida was rockin' tonight with three talented country artists on stage. First up was Sony Music Nashville’s country boy, Tyler Farr from Garden City, Missouri. He opened the show with his new single, "Hot Mess". I had never seen Farr perform until tonight, but I liked what I heard. He has one of those sweet southern drawls that captivates you from hello. Farr has toured with Colt Ford, for whom he wrote the song, “Hey Y’all". He had opened for Jerrod Niemann and Lee Brice in early 2011 on "The Higher Education Tour" and moved right on into 2012. He performed the songs from his EP, "Camouflage", "She's Got The Goods" and "That's What They're Bitin' On". He even mixed in a little southern country/rock with his rendition of the Georgia Satellites, "A Little Change In My Pocket" and Ted Nugent's, "Cat Scratch Fever", before slowing down with his love ballad, "Hello Goodbye". This is a heart-felt song about a break ups. 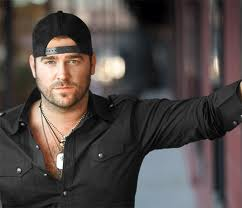 Farr topped off his peformance with "Camouflage" and his newest single, written with Colt Ford, titled "Chicks, Trucks and Beer". The handsome young cowboy took a coin out of his pocket. He said, "Okay, I know your ready for some Jarrod and Brice, but they were backstage arguing about who was going on stage after me, so I am fixing their little spat for them right here, right now, I am flipping this coin. Heads, it's Jarrod and tails, it's Brice. He flips the coin, "Okay, it's heads! Jarrod's up next, Ya'll have fun!" Jerrod Niemann kicked off his set with "One More Drinking Song" and the sold out Joyland crowd raised their cups and started singing along. Neimann kept the standing room, elbow to elbow, audience on their feet with his alphabet song "For Everclear". This is an up-tempo, feel good, song dedicated to all the college people. He played several songs from his Judge Jerrod & The Hung Jury album, including "Lover, Lover" and the "Buckin' Song". Slowing down with "What Do you Want", one of my favorite tunes that his sings. Even though the dance floor was packed, the couples in the audience found room to slow dance. Shifting gears he performed a Garth Brooks tune which he penned with Richie Brown, Bryan Kennedy, and Bob Doyle. "Good Ride Cowboy" is a tribute to the late rodeo cowboy, Chris LeDoux. He kept the wild crowd entertained with his rendition of Charlie Daniels' "Devil Went Down To Georgia". Then once again slowing it down and closing out his segment of the show with his new single, co-written with LeeBrice, "Shinin' On Me". A quote from his website says it all, "Niemann feels that he can be a distinct voice in country music, but he realizes he’s standing on the shoulders of giants. Waylon and Willie are considered hard-core traditionalists now, but they were very innovative back in the day, and they caused a lot of controversy. No one’s ever going to say what they said, or sing what they sang, as well as they did. But I think there’s something unique that I can contribute to the format. If I can make somebody laugh, or get someone who’s never listened to country music, to come over and check it out, then I’ve accomplished my goal.” Well for me, he did just that! I have never seen so many people rush to a stage. It was like a swarm of bee's when South Carolina, country boy, Lee Brice took the stage. With his opening number, "Picture of Me", I got a sense of what kind of guy he is. "I am who I am / the product of a woman still loved by a stubborn man / I've learned what I've learned / by finding the right way in all of my wrong turns / I love what I love / I ain't afraid to say it cause I'm / damn sure man enough / That's what you need to see to get a / picture of me". Brice kept the loud, crazed fans mesmerized with the hits from his Love Like Crazy album. His stage performance was beyond superb. I could feel the energy from across the room, just watching all the girls go crazy, and pointing to themselves when he sang " A Woman Like You". Brice gave a shout out to all the troops in the audience and those fighting for our country, with a new song he wrote, "I Drive Your Truck". When he said, "Defiantly has to be American made", the screams and yells in the venue were deafening. Yep, it's safe to say we all agreed! He slowed it down for all the dancers in the house with is current single, the catchy tune and one of my favorites, "Beautiful Every Time", a song he co-wrote with Rob Hatch. Then "Happy Endings", which he dedicated to his fiancee. Sarah, you're one lucky girl! Closing with "Parking Lot Party" he said, "this song is one of those songs about having a tailgate party all night and never making it inside the venue to the show. It's the kind of party you have on football days, you barbecue on the tailgate and drink beer all day." Everyones glasses rose in the air, and there was a lot of "Hell Yeah's". He finished off his performance with a song he says has changed his life, "Love Like Crazy", from his debut CD of the same name. Just when you thought it was over, Jerrod and Tyler joined Lee on stage to perform a medley of tunes. They entertained the pumped up crowd for about a half hour with songs from Hank Williams Jr., "Family Tradition" and Steve Miller Band's "The Joker". They threw in a little Meticalla, Guns and Roses, and even some Stevie Ray Vaughn's, "Pride and Joy" along with "Hey Jude" from the Beatles. Before closing out the show with Poison's "Nothin' But A Good Time". "Don't need nothin' but a good time / How can I resist / Ain't lookin' for nothin' but a good time / And it don't get better than this." Well after seeing these three talented artist in concert, all in favor say I.